It’s the dream of many small business owners to one day appoint a General Manager to their business so they can step back and enjoy life. In this dream world, the GM sends the owner regular reports, and a monthly cheque with little need for involvement from themselves except an occasional guiding hand. Reality is somewhat different as I observed while watching the biopic on Steve Jobs. By all reports, he was not the easiest person to work with, in spite of (because of?) his genius. The trouble began when he floated his company, reducing his equity. Understandably, the new investors wanted a say in the running of the business, appointing a board, and a CEO above Jobs, who was regarded as not ready to run a business of the size it had become. The board didn’t share Job’s vision, seeing it as vehicle to generate returns for the investors, who in turn considered it as just another stock in their portfolio. In the end, Jobs was forced out, although he still retained his considerable shareholding in the company, which he sold, hanging on to just a single share. Over the years, the price plummeted as it became just another player chasing IBM. The board pleaded with Jobs (who had continued his success in new companies he had created), to return to Apple, which he did, but as CEO with full control. Many of the old managers were sacked, and he completely changed the direction of the company, with the iMac, iPod and iPad the results. He had re-instituted his original vision for the company with a focus on innovation. In small business, when the owner steps away and appoints a GM to run things, the danger is that the innovative culture and passion will dissipate. 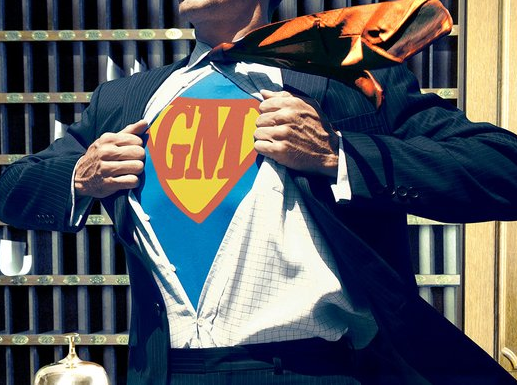 A GM will never have the same passion as the owner. The business is not their baby, even if they are offered equity. Ultimately, it’s just a job for them. Before appointing a GM, the business must have strong reporting systems to ensure, that the owner is confident that the day-to-day operations are maintained as if they were there. That they can leave the business for extended periods of time, and be sure that sales continue to be made and orders fulfilled. But a business can never stand still. The only time a business coasts is when it’s going downhill. When the owner is in place in a successful business, growth strategy is a major part of their focus. After they appoint a GM, the owner’s focus on strategy must become even greater. This means spending time with management planning, agreeing goals and strategies, and following up with accountability through reporting. This becomes possible for the owner because the GM is responsible for operations. In larger corporations, this role is often called the Chief Operating Officer (COO), with the CEO above that, retaining responsibility for strategy with the board (which would include the COO). This may be a better model for small business owners who enjoy the creative part of business, but would be happy to pass the operational grind onto others. Reporting systems are essential to make this work and free up the owner’s time. When the board took over control of Apple from Jobs, their focus was on reporting and control, not on innovation and growth. Perhaps Jobs was not ready initially to run a business of the size Apple had become; his projects lacked cost control with large over runs, and he needed time in the wilderness starting another business from scratch to learn to get the balance right.